There is no doubt that the conference itself was as entertaining as an elephant circus, with all the sumptuous food, festive dances, and royal ambience that are the hallmarks of Thai hospitality. On the other hand, the discussions were both agitating and depressing (Okay, at times a bit inspiring too! ), as the ‘old elephants’ paraded in Centara Grand’s conference rooms – I said ‘old elephants’ because quite frankly, not many new ideas were raised – clearly, a proof that many of the problems that plague the world’s health remain unsolved. And indeed, governance was the first elephant to be tackled in the room. Probably the WHO EB meeting was a blessing in disguise, as there was no high-level official present (unlike last year when Assistant Director-General Marie Paul Kieny joined to discuss the theme “Transformative Learning for Health Equity”), and so PMAC provided an excellent platform for frank, no-holds-barred conversation about WHO’s continuing relevance in the 21st century. Thailand’s Suwit Wibulpolprasert, perhaps Asia’s most exciting global health leader, moderated a lively panel during the opening dinner. 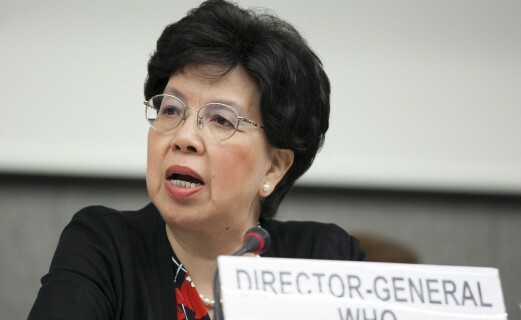 It was written in the program that the original topic was “Ebola – do we need a new global health institute?” However, Suwit wittily rephrased it by asking the panel “Do we still need the WHO?” His provocative way of questioning gave him answers that he jokingly described as ‘disappointing’: former WHO assistant director-general and now World Bank’s head of global health practice Tim Evans recommended to remedy the disconnect between the Geneva headquarters and the regional offices; Bridget Lloyd of the People’s Health Movement (PHM) proposed a revival of the old financing scheme which predominantly relies on Member State assessed contributions (in contrast to voluntary contributions from donor agencies, which comprise roughly 80% of WHO’s budget today); China Medical Board president Lincoln Chen hoped to fix the internal politics first before instituting organizational reforms; and THE Paul Farmer of the world-renowned NGO Partners in Health suggested a return to 19th century public health ethic which emphasized on higher standards in the provision of individual care and public health services. Suwit easily dismissed all the proposals as not feasible! If I were asked, I would also recommend another equally ‘disappointing’ yet highly ‘feasible’ measure – enhancing the democratization of WHO by improving on its engagement with civil society and in general, the people that it ought to serve. In one plenary, I even thanked the PHM and Lancet-University of Oslo Commission for including the youth in its work (I myself am part of both PHM and the parallel Youth Commission). However, I also raised that in contrast, WHO remains to be one of the few UN agencies without an established platform for youth engagement (others such as UNAIDS, UNFPA, UNICEF, and UNESCO have institutionalized spaces for young people). I even remembered one WHO official telling me before that their official youth arm is their Department of Child and Adolescent Health! In its youth engagement strategy, WHO should definitely go beyond highly competitive and expensive internships. For now, we can continue relying on organizations such as the International Federation of Medical Students’ Associations (Sorry for the shameless plug – I’m just being one proud alum! ), which for more than 60 years has been advocating that, in global health governance, we young people matter too! Since the achievement of health equity post-2015 is a goal not just of the WHO or the conventional global health system, the PMAC tackled the second elephant – the ‘political determinants of health.’ Aside from the presentations echoing the findings of the Lancet-University of Oslo Commission, the open forum allowed participants to raise burning questions about the roots of rising global inequality that result in gross health inequities within and between countries. For instance, PHM’s Fran Baum pointed out that contrary to the theme, the current world order is actually ‘accelerating inequities’ (and proof of this is Oxfam’s report last month stating that by 2016, the world’s richest 1% will own more than the rest of the world population), and therefore remedies outside the health sector have to be put in place, such as strengthening the international tax regime in order to collect funds for global public goods such as health (because, as Fran said, taxation is national but businesses are global) and examining health impacts of ongoing trade negotiations such as the Trans-Pacific Partnership (and last week, the Nobel laureate Joseph Stiglitz himself pleaded not to ‘trade away our health’). These topics were only discussed superficially, and I wished there were specific sessions devoted to discussing priority health determinants such as climate change, food, migration, trade, and poverty to complement the more general thematic sessions on topics such as accountability, monitoring, and foreign policy. As expected, the conference began with direct reference to the still-ongoing Ebola epidemic in West Africa, and there was general consensus that the crisis has social, political, cultural, and economic roots. 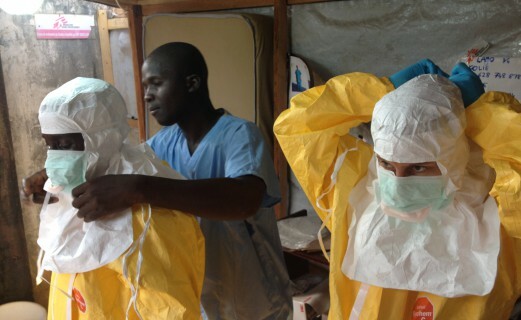 While in his opening speech, Tim Evans listed down 10 lessons from the Ebola crisis, many of which pertain to strengthening health system ‘building blocks’ such as the health workforce and sustainable financing, Paul Farmer on the other hand, noting that “the worst hotel in Africa is so much better than its best hospital,” expressed alarm at the broader social injustices in Africa that served as the backdrop for the crisis. PHM’s David Sanders then called for a deeper interrogation of the political economy of the current epidemic. He gave the example of Sierra Leone, which has one of the highest GDP growth rates – 15% in 2012 – as a result of its huge extractive industry, yet just like neighboring Guinea and Liberia, has been ranked one of the lowest in the Human Development Index in 2014 (183rd, 179th, and 175th, respectively). Speaking of social determinants, the Sustainable Development Goals (SDG) give the global health sector another opportunity to incorporate this broad philosophy into the next development agenda. Chatham House’s Robert Yates stated that the health goal should address the social determinants as well as health services, but also there is a need to link different SDG agendas with the health goal, such as by earmarking fuel taxes to fund public health services, both in support of Universal Health Coverage (UHC) and climate mitigation. Now that the SDG process is drawing to a close, all the more the global health community must unite behind a universal virtue. In a plenary, former Norwegian AIDS ambassador Sigrun Mogedal offered the concept of ‘dignity’ as a potential unifying theme, as already resounded by the synthesis report of the UN Secretary-General released last December. She noted that the report represented the ‘voice of the people’ and is compatible with the goal of global equity and social justice. (Here’s more to why dignity is a worthy candidate, since it’s something that everyone longs for, and that no one possesses if others are also lacking of it, as explained by Jonathan Glennie.) Sigrun also challenged everyone to perform an ‘equity test’ not just for the health goal, but for all the proposed Sustainable Development Goals (17 in total, with 169 targets!!). Focusing on the health goal, it seemed that UHC will become its main highlight. In its current form, the health goal hopes to “Ensure healthy lives,” with UHC as just one of its subgoals/targets. However, several speakers during the conference emphasized that UHC should be included in the phrasing of the goal itself, especially now that UHC has already become an ‘uncontroversial’ concept as one speaker from WHO stated. Thai health policy expert Viroj Tangcharoensathien proposed alternative phrasing as articulated in the conference summary: “Ensure healthy lives and achieve progressive universal health coverage.” The message is clear – universalisms such as UHC contribute to global equity, and therefore should be a prominent feature of the SDGs. However, one thing is not yet clear though – the meaning of UHC itself! PHM’s Claudio Schuftan cautioned about blind devotion to UHC as a goal, given that countries, international organizations, and academics themselves are still debating about UHC’s diverse definitions and metrics. 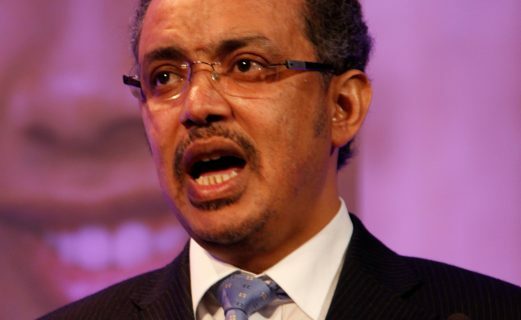 He also warned that the UHC ideology that is now spreading worldwide might open the floodgates to more privately-funded and –provided health care that will further limit access among the poorest of the poor. Overall, I was sharing with fellow youth colleagues that the conference theme seemed a bit late, if the aim is to provide inputs to the post-2015 discussions. Perhaps this should have been the theme two or three years ago. 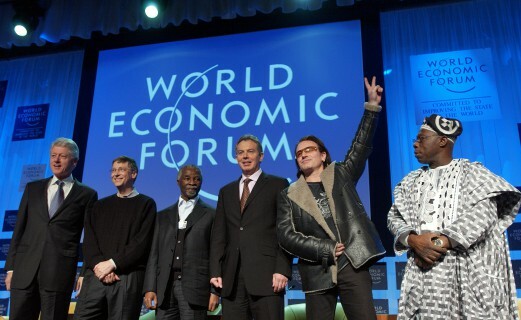 Nonetheless, while we may think that the conference would probably not make a dent on both the process and the outcome document, it is still worthwhile to discuss the much-needed transformations in the global health system and global governance as a whole for the post-2015 world, regardless of how the SDGs are phrased. 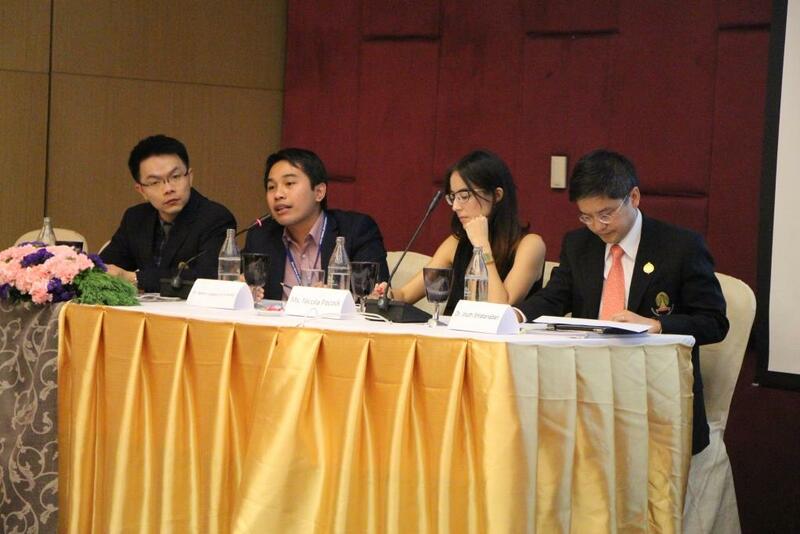 Before I close, let me give some thoughts on PMAC as an Asian global health advocate. It is my second year to attend the PMAC – and I told fellow attendees whom I also met last year that this yearly conference is becoming our “annual pilgrimage to one of the Vaticans of global health.” Clearly, Thailand is turning into an important global health hub – and it certainly has every right to become one, being global health’s poster boy for different things such as UHC, health promotion, global health diplomacy, etc. Commentators of international affairs say that the center of gravity is shifting eastward, yet despite Thailand’s hosting of the PMAC, I am still yet to hear from Asians themselves their critical role in and perspectives on global health. I can roughly estimate that 80% of the speakers were not from Asia, yet I’m pretty sure Asians like me have lots to contribute to the ongoing global debates. 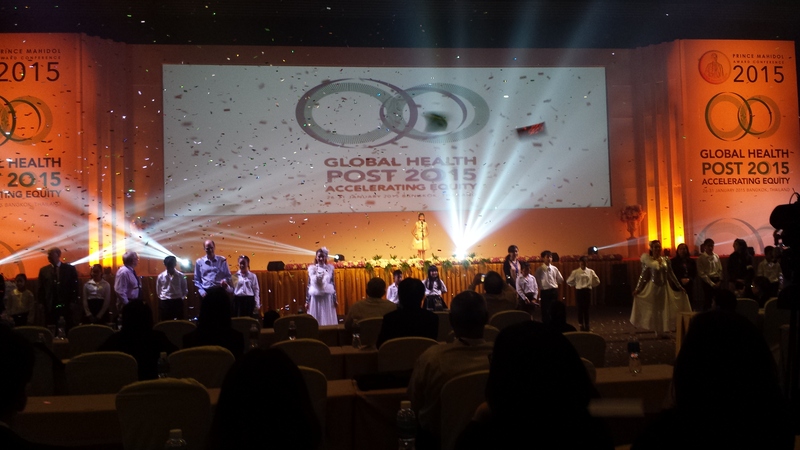 Nevertheless, there was some time during the conference to reflect upon Asia’s rise in global health. For instance, in the pre-conference panel I participated in, we discussed about the health implications of regional integration in the Association of South East Asian Nations (ASEAN), once described by The Lancet as a “microcosm of global health.” A series on the subject in Global Health Action was also launched, which featured papers that explored migrant inclusion in UHC, mobility of health professionals, disaster resilience, and medical tourism, among others. I will write more on ASEAN integration and its health impacts in a future article. Obviously, she cannot physically see the people watching her, who just got exhausted in exhausted in trying to find lasting solutions to the world’s chronic problems. Yet she and the billions more who were not PMAC participants – children, women, people with disabilities, minority groups, the poor, the marginalized, etc. – are the ones who truly feel the pressure exerted by the stomping elephants in the room. Finally, on the walls of the conference venue and inside the souvenir notebook was printed a powerful reminder, this time from Prince Mahidol of Songkla, to whose memory this conference was dedicated: “True success is not in the learning, but in its application to the benefit of mankind.” I hope the people noticed it as they gazed at the elephants. 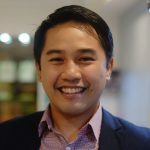 An Emerging Voice for 2014, Renzo R. Guinto, MD currently works as Campaigner for the Healthy Energy Initiative of Health Care Without Harm-Asia, and previously served as migration health consultant for the International Organization for Migration and Department of Health, Philippines. 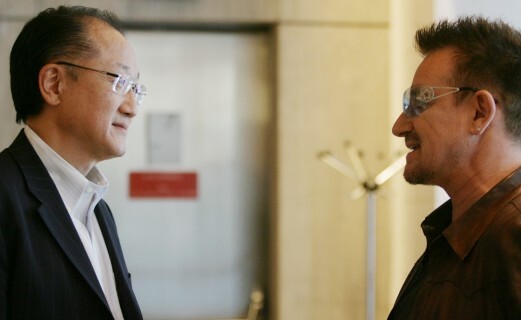 He is involved in many initiatives on universal health care, transformative health professional education, social determinants of health, and Southeast Asian affairs. He is a co-convener of ASEAN Youth Dialogues, and co-founder of #Reimagine Global Health, a think-and-do tank for the world’s health.